The cold north-east wind continues and with occasional cold drizzle this morning hardly felt like spring. Migrants on the land remain scarce with just three Firecrests, two Chiffchaffs and a Grey Wagtail of interest. 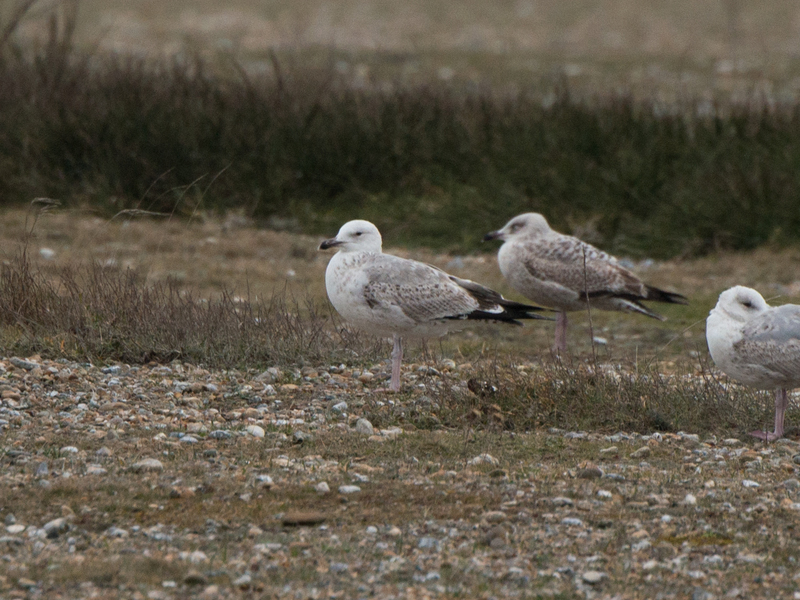 The first few hours of the day saw some easterly passage with 385 Brent Geese, 204 Red-throated Divers, 20 Fulmars, three Grey Plovers, 14 Black-tailed Godwits (a scarce bird at sea here), a Mediterranean Gull and 12 Sandwich Terns. 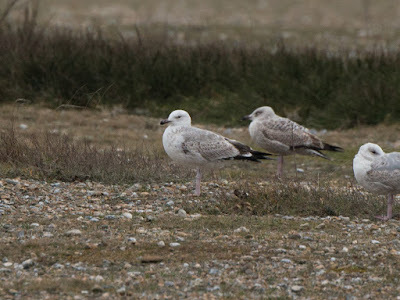 In the afternoon, a second-winter Caspian Gull was seen in the roost behind the Fish Hut.